On January 28, year of the Rooster kicks off the start of Chinese New Year 2017. Chinese New Year, as a lot of us understand, is a new beginning for the year, expelling the old, a path to start over… again. If the previous year was misfortune and unkind. This is the opportunity where it can all change. A chance where the cultural practices that were taught will come into use. In the weeks leading up to the Chinese New Year, house cleaning is a must because the swiping away your bad luck will bring in new good fortune. Bills and debts should be paid off before Chinese New Year because this is where you can start off with a new slate. Appearances is a must. Need a haircut? Well go get one already! Try to wear something new because it’s a new YOU for the new year. Taboo words such as death, ghost, illness, losing, and poverty shouldn’t be spoken. Usually around Chinese New Year, I try not to swear but unfortunately the F-bomb flew out of my mouth more than a dozen times. Oh well, next year. These are some of the cultural practices and behaviors, I follow when Chinese New Year rolls around. Of course, there are a lot of others practices but these are the important ones for me. Another thing about Chinese New Year is the FOOD! 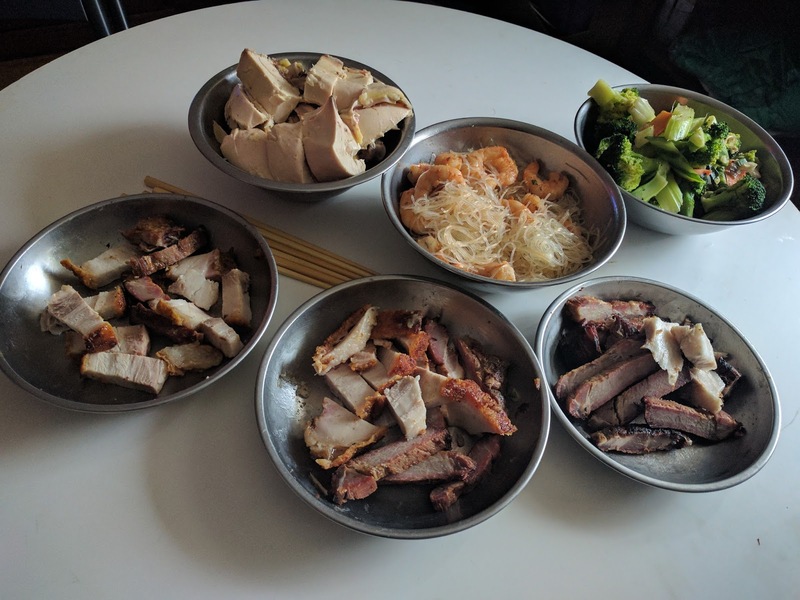 Pork belly, fish, Fortune Fruit, noodles, Chinese pastries/desserts, and more. Food for Chinese New Year is not just food, we eat it for a reason. Noodles for example lead to longevity. Simply eating an Orange will bring good luck and good fortune, since Tangerines in Chinese sounds like the word “luck” and orange sounds like the word “wealth”. The brighter the orange the better, it symbolizes the appearance of “gold”, hence the notion of bringing good luck and fortune. So basically, you could say food will bring good luck to all. I must say Chinese New Year, is all about preparation. On two accounts while in Chinatown, one Thursday, I took my Mom to Best Bar B Q restaurant in Chinatown. The line was slightly out the door, everyone in line was ordering all the same dish. Then on Sunday, I took my Aunt there and now the line was longer. It lined up down the street light. Chinese New Year comes once a year and we can all celebrate and start fresh. As for me, for the new year, I must say, so far, I have good luck and fortune. Hopefully, dropping the F-bombs won’t bring me misfortunes. For now, I leave you with a Gung Hei Fat Choi, good health and good fortune to you! Oh and don’t forget to eat up because filling your belly up is good fortune!